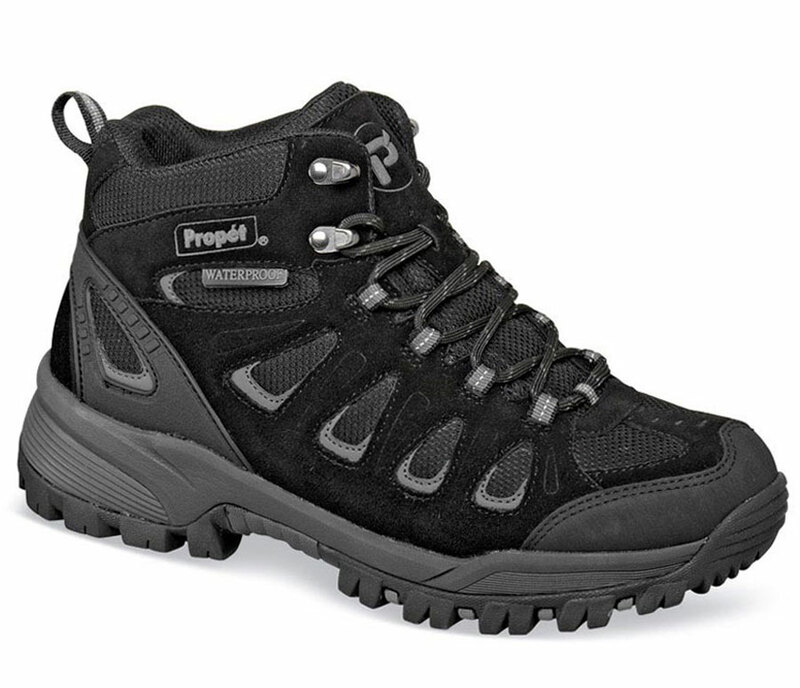 The black Propét “Ridge Walker” boot is waterproof, lightweight, tough and affordable. 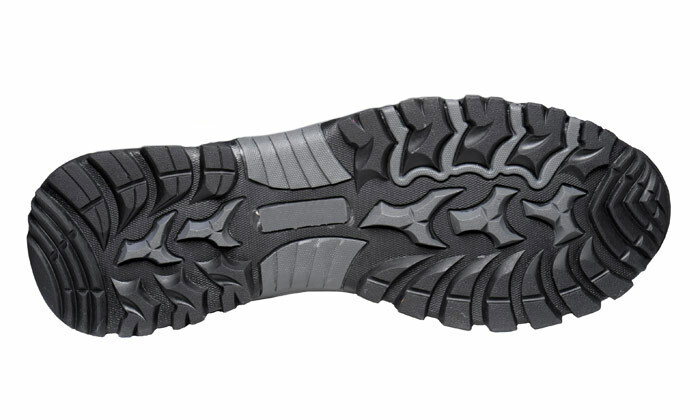 It has a suede and mesh upper with broad padded collar and tongue, a removable cushion insert, and a high-traction EVA-and-rubber treaded outsole. Rubber toe bumper. Men’s sizes 8–12, 13, 14 and 15 in 3E and 5E.